Been away in Massachusetts with my wife’s side of the family. On my way over the Berkshires I noticed in one section on the Mass Pike a bunch of American yew (a.k.a. ground hemlock, Canada yew) growing. This plant is extremely rare in the Catskills. It can be confused with a small balsam fir, except it doesn’t grow beyond 5 feet or the deer browse line; one reason why it’s so rare. As one Forester said, “It’s like a snow cone for deer.” The deer browse seems less to me (in some places) in Massachusetts. 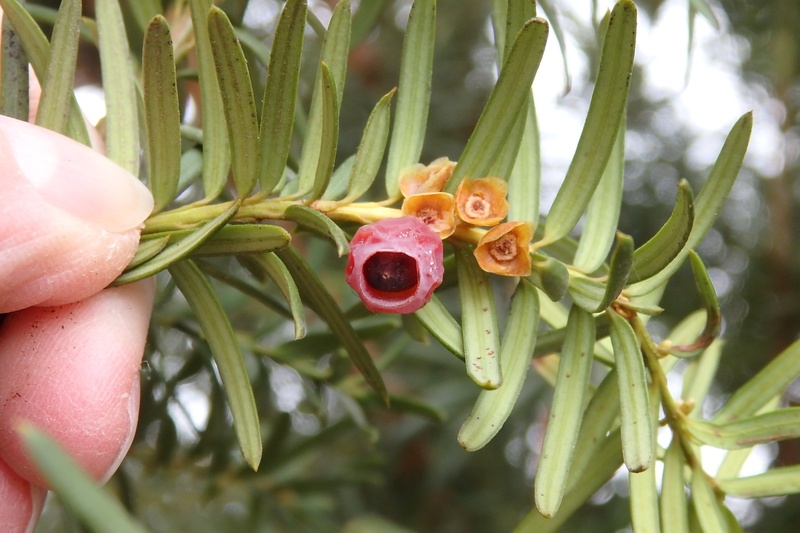 Tags: Canada yew, Catskill Forest Association, ground hemlock Categories: What's New?